Scott Saghirian over at TopTechAgent, has meme’d me. I have gone 10 months without being meme’d. They have caught up to me; my luck has run out and now, I must disclose 5 things about myself. 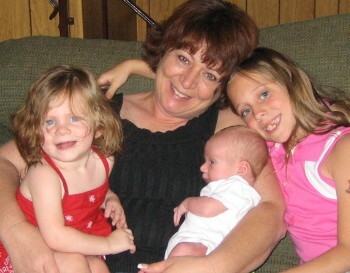 *I am MiMi to these beautiful grandchildren and enjoy every minute with them. In April we will add another grandchild, a girl. *I have been married to my husband, Don, for 28 years. He still calls me “His Bride”. I am the lucky one. *We have four adult children, who have made every moment in life a cherished one. Okay, maybe not every moment, but when they finally grow up – you forget all the trying times. Seriously!